Take a step inside the Yellow Submarine with these incredibly soft plush slippers! 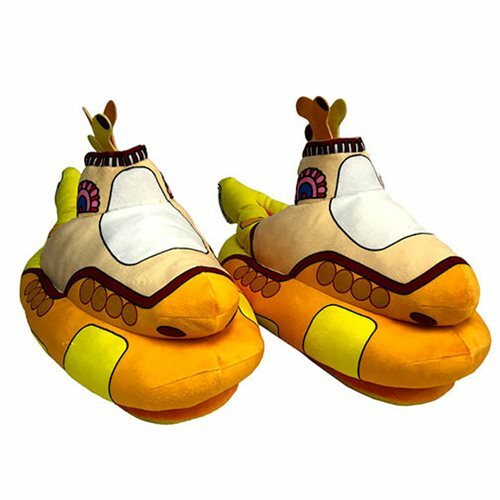 The Beatles Yellow Submarine Plush Slippers measure about 14-inches long and will accommodate Men's sizes 7 to 12. Ages 3 and up.